Dilbilimciler uzun zamandan beri bir arada olma eğiliminde olan ardışık kelimeleri incelemektedirler. Bu çalışmada sözcük örüntüsü denilen ve sürekli tekrar eden belirli bir kelime grubu incelenmektedir. Sözcük örüntüsü, ‘küme’ ya da ‘yığın’ da denilen birkaç kelimenin yan yana gelmesi ile oluşan kelime gruplarıdır ve dili akıcı bir şekilde kullanmanın önemli bir bölümü bu yapılara hakim olmaktan geçer (Hyland, 2008a). Bu çalışma, anadili İngilizce olan ve İngilizce’yi yabancı dil olarak öğrenen Türk ve Japon öğrenciler tarafından tartışma türünde yazılmış kompozisyonlarda en çok kullanılan ‘tutum sözcük örüntüleri’ni (TSÖ) bulmayı amaçlamıştır. Çalışma aynı zamanda, bu kelime grubunun yapısal ve işlevsel olarak hangi özellikleri gösterdiğini ve bu özelliklerin anadili İngilizce olan ve İngilizce’yi yabancı dil olarak öğrenen öğrenciler arasında nasıl bir farklılık gösterdiğini bulmayı hedeflemiştir. Bu amaçlara ulaşmak için veri toplama aracı olarak Louvain Corpus of Native English Essays (LOCNESS), Japanese International Corpus of Learner English (JPICLE) ve Turkish International Corpus of Learner English (TICLE) kullanılmıştır. Tutum sözcük örüntüleri yapısal ve işlevsel olarak analiz edilirken Biber’in (2006) sınıflandırması takip edilmiş ancak bu sınıflandırma çıkan sonuçlara göre adapte edilmiştir. 3-4 kelimeden oluşan sözcük örüntülerini bulmak için WordSmith programı kullanılmştır. İstatistiksel analizde, Type/token ratio ve Log Likelihood Analizi kullanılmıştır. Çıkan sonuçlara göre anadili İngilizce olan katılımcılar TSÖ’yü en az kullanırken en fazla kullanan grup Japon öğrenciler olmuştur. TSÖ’lerin yapısal ve işlevsel kullanımları her grupta farklılık göstermiştir. Bu yapıların yabancı dil öğretiminde kullanımına yönelik önerilere de çalışmada yer verilmiştir. Linguists have been interested in the sequences of words that tend to occur for a long time. The present study examines a particular type of recurrent chunks called lexical bundles (LB). LBs are multi-word expressions and an important component of the fluent linguistic production depends on the control of them (Hyland, 2008a). The purpose of this study was to find out the most common stance LBs used in argumentative essays written by native English speakers and Turkish and Japanese EFL learners. It also aimed at finding the structural and functional characteristics of these bundles, and to what extent these structures used by the Turkish and Japanese EFL learners are similar to the ones used by the native speakers. To answer these questions, Louvain Corpus of Native English Essays (LOCNESS), Japanese International Corpus of Learner English (JPICLE) and Turkish International Corpus of Learner English (TICLE) were used. The structures of the stance LBs were determined by following Biber’s (2006) classification and the functions were determined by adapting their classification. The concordancing program WordSmith was used to find and determine the 3-4 word stance LBs. In the statistical analysis, Type-token ratio and Log Likelihood were used. The results showed that native speakers use lexical bundles least; whereas, Japanese EFL learners use them most frequently. The functions and the structures of LBs vary in each group. Suggestions regarding how to teach these devices in foreign language education were also given. Allen, D. (2009). Lexical bundles in learner writing: An analysis of formulaic language in the ALESS Learner Corpus. Komaba Journal of English Education, 1, 105-127. Ağçam, R. (2014). A Corpus-Based Study on Author Stance in Academic English. Unpublished doctoral thesis. Çukurova University, Adana. Biber, D., Conrad, S. & Cortes, V. (2004). If you look at: Lexical Bundles in University teaching and textbooks. Applied Linguistics, 25 (3), 371-405. Biber, D. (2006). University language: A corpus-based study of spoken and written registers. Amstersam, Philadelphia: John Benjamins. Biber, D., & Barbieri, F. (2007). Lexical bundles in university spoken and written registers. English for Specific Purposes, 26, 263–286. Chen, Y., & Baker, P. (2010). Lexical bundles in L1 and L2 academic writing. Language Learning and Technology, 14 (2), 30-49. Chen, Z. (2012). Expression of epistemic stance in EFL Chinese university students’ writing. English Language Teaching; 5 (10), 173-179. Cortes, V. (2002). Lexical bundles in freshman composition. In R. Reppen, S. M.Fitzmaurice and D. Biber (Eds), Using Corpora to Explore Linguistic Variation, 131-145: Amsterdam, Philadelphia: John Benjamins. Cortes, V. (2006).Teaching lexical bundles in the disciplines: An example from a writing intensive history class. Linguistics and Education, 17, 391–406.Cortes, V. (2008). A comparative analysis of lexical bundles in academic history writing in English and Spanish. Corpora, 3, 43-57. Conrad, S. & Biber, B. (2004). The frequency and use of lexical bundles in conversation and academic prose. LEXICOGRAPHICA, 20, 56-71. Flowerdew, L. (2001). The Exploitation of small learner corpora in EAP materials design. In Ghadessy, M., Henry, A. & Roseberry, R.L. (Eds.) Small Corpus Studies and ELT Theory and Practice. Amsterdam: John Benjamins. Granger, S. (2002). A Bird’s-eye view of learner corpus research in computer learner corpora, second language acquisition and foreign language teaching. Granger, S. & Hung, J. & Petch-Tyson, S. (Eds), 3-33. John Benjamins, Amsterdam. Herbel-Eisemann, B., Wagner, D. & Cortes, W. (2010). Lexical bundle analysis in mathematics classroom discourse: The significance of stance. Educ Stud Math, 75, 23-42. Hernandez. P.S. (2013). Lexical bundles in three oral corpora of university students. Nordic Journal of English Studies, 13(1), 187-209. Hyland, K. (2005). Stance and engagement: A model of interaction in academic discourse. Discourse Studies, 7 (2) 173-192. Hyland, K. (2008a). As can be seen: Lexical bundles and disciplinary variation. English for Specific Purposes, 27, 4–21. Hyland, K. (2008b). Academic clusters: Text patterning in published and postgraduate writing. International Journal of Applied Linguistics, 18 (1), 41-62. Ishikawa, S. (2009). Phraseology overused and underused by Japanese learners of English: A contrastive interlanguage analysis phraseology. Corpus Linguistics and Lexicography, 87-100. Jablonkai R.R. (2010). A Corpus-linguistic investigation into the lexis of written English EU Discourse: An ESP Pedagogic Perspective. Unpublished doctoral thesis. Eötvös Loránd University, Budapest. Jafarpour, A.K., Hashemian, M. & Alipour, S. (2013). A corpus based approach toward teaching collocation of synonyms. Theory and Practice in Language Studies, 3 (1), 51-60. Jalali, H., Rasekh, A.E., & Rizi, M.T. (2008). Lexical bundles and intradisciplinary variation: The case of applied linguistics. International Journal of Language Studies, 2 (4), 447-484. Juknevičienė, R. (2011). Lexical bundles in non-native speaker and native speaker written English. Unpublished doctoral dissertation. Vilnius University.Kamimura, T. & Oi, K. (1998). Argumentative strategies in American and Japanese English. World Englishes, 17 (3), 307-323. Neely E. & Cortes.V. (2009). A little bit about: Analyzing and teaching lexical bundles in academic lectures. Language Value, 1(1), 17-38. Servei de Publicacions de la Universitat Jaume I: Castelló, Spain. Retrieved 9 July 2012, from: http://www.erevistesuji.es/languagevalue. Nekrasova, T.M. (2009). English L1 and L2 speakers’ knowledge of lexical bundles. Language Learning, 59 (3), 647-686. Nesi, H., & Baştürkmen, H. (2006). Lexical Bundles and Discourse Signaling in Academic Lectures. International Journal of Corpus Linguistics, 11, 283-304. Ohta, A.S. (1991). Evidentiality and Politeness in Japanese. Issues in Applied Linguistics, 2 (2), 211-238. Scott, M. (2008).WordSmith Tools version 5, Liverpool: Lexical Analysis Software. Taki, S. & Jafarpour, F.(2011). Engagement and stance in academic writing: A study of English and Persian research articles. 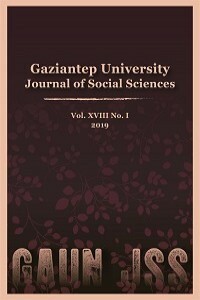 Mediterranean Journal of Social Sciences, 3 (1), 157-168. Tenuta, A. M., Oliveira, A.L.A.M. & Orfanó, B. M. (2012). How Brazilian learners express modality in their writing: A corpus-based study on lexical bundles. Revista Intercâmbio, 5. (26), 1-15. São Paulo: LAEL/PUCSP. Uysal, H. H. (2012). Argumentation across L1 and L2 Writing: Exploring Cultural Influences and Transfer Issues. Vigo International Journal of Applied Linguistics, 9, 133-159. Wei, Y. & Lei, L. (2011). Lexical bundles in the academic writing of advanced Chinese EFL learners. RELC Journal, 42 (2), 155-166.